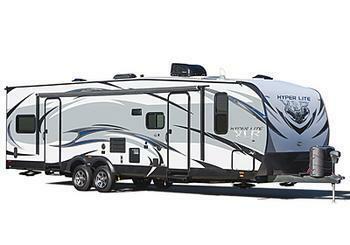 Forest River is recalling 34 model year 2018 XLR ToyHaulers, models XLT23KW and XLT23KW-W. The vehicles' federal placard may not provide the incorrect tire and rim combination information of ST225/75R15/E tires needing 80 PSI and rims of 16X6.0JJ. As such, the vehicles fail to comply with the requirements of Federal Motor Vehicle Safety Standard (FMVSS) number 110, "Tire Selection and Rims." If the information is incorrect, operators could install the incorrect size replacement tires, which can increase the risk of a crash. Forest River will notify owners and provide a corrected federal placard, free of charge. The recall is expected to begin October 23, 2017. Owners may contact Forest River customer service at 1-574-642-0432. Forest River's number for this recall is 45-0509.